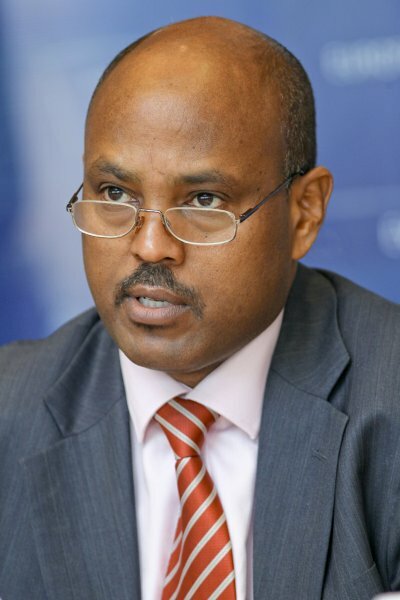 Minister of Foreign Affairs Dr Mohamed Abdilahi Omar responds to comments made by UN Deputy Secretary General Jan Eliasson on 9 May 2013. Below is an article published by the Somaliland Sun. "It is a matter for regret that some in the UN Secretariat are apparently not fully or correctly informed about the situation in Somaliland"
This is per a letter addressed to Ban Ki Moon the United Nations Secretary General by the Somaliland minister of Foreign Affairs Dr Mohamed Abdilahi Omar who was reacting to recent comments made by UN Deputy Secretary General Jan Eliasson on 9th May . While touching on the issue of Somaliland at a post London conference on Somalia on the 9th of May Mr Jan Eliasson implied that Somaliland might have attended this year's Conference as part of Somalia's delegation. The foreign minister counters this by informing that participation would have been impossible because it would have been a breach of the democratic compact between the government of Somaliland and its citizens, who voted overwhelmingly in a 2001 referendum in favour of our national constitution that declares Somaliland to be independent. On The UN Deputy Secretary General sentiments that the world body is fully committed to supporting the Somalia administration of president Hasan in re-establishing a fully functional federal state, Dr Omar says that while Somaliland is support of the UN's efforts to stabilise Somalia it should not be misconstrued as a region or lumped together with other administrative regions of Somalia. According to Dr Omar "the reality is that Somaliland has existed as a separate state for the last 22 years, since the failed Union of Somalia dissolved following a bloody civil war. While we are grateful to all those who provide assistance to support peace and stability in Somalia, we will only join partners in discussions on such issues if we are accorded the appropriate status, as we were in 2012"
This letter comes a day after the government banned UN operated flights from the country after UNDP announced that it had given full airspace control including that of Somaliland to the administration in Mogadishu. The Government of the Republic of Somaliland noted with grave concern the statements reportedly made by Deputy Secretary-General Jan Eliasson at a press conference on 9 May following the International Conference on Somalia. I feel obliged to clarify what may be a misunderstanding both about Somaliland's position with regards to international efforts to rebuild Somalia, as well as about my Government's decision not to attend the International Conference. The Republic of Somaliland government fully supports international efforts to rebuild and stabilize its neighbour, Somalia. A secure and peaceful Somalia that is able to fight terrorism and violent extremism, prevent famine, and eradicate piracy is in Somaliland's national interest. Somaliland therefore participated in the international conference on Somalia that took place in London in 2012. We did so not as part of Somalia's delegation, but in our own right, and our president delivered a speech to the Conference as President of Somaliland. In his remarks on 9 May, the Deputy Secretary-General implied that Somaliland might have attended this year's Conference as part of Somalia's delegation. This would have been impossible. It would have been a breach of the democratic compact between the government of Somaliland and its citizens, who voted overwhelmingly in a 2001 referendum in favor of our national constitution that declares Somaliland to be independent. The reality is that Somaliland has existed as a separate state for the last 22 years, since the failed Union of Somalia dissolved following a bloody civil war. While we are grateful to all those who provide assistance to support peace and stability in Somalia, we will only join partners in discussions on such issues if we are accorded the appropriate status, as we were in 2012. We are of course involved in our own discussions with Somalia. The Dialogue between Somaliland and Somalia that recently resumed in Ankara on 13 April provides an important forum for cooperation between our two governments, as highlighted by the communiqué issued on that day. As these talks move forward, we hope that our two governments can agree practical measures to address issues of mutual concern, including terrorism and extremism, piracy, illegal fishing, toxic dumping, and other serious crimes. We hope that the Dialogue can also serve as a peaceful process for Somaliland and Somalia to clarify their future relationship. My government welcomes the involvement of the UN and its member states in facilitating and creating a favourable environment for these discussions, as we conveyed to the UN's Technical Assessment Mission during its recent visit to Hargeisa. However, such support must be provided without prejudice to a particular outcome, and requires a correct understanding of Somaliland's historic and present situation. The Government of Somaliland is not the product of a single clan or factional interest. It is the legitimate representative of the people of the former British Somaliland Protectorate that gained independence on 26 June 1960 before entering a voluntary union with Italian Somaliland five days later. After three decades of marginalisation at the hands of a ruthless central government in Mogadishu that culminated in civil war and the massacre of 50,000 of our innocent civilians, the people of Somaliland reasserted their sovereignty and independence in 1991. A decade later, a referendum was held that included all the regions and clans of Somaliland, in which the people voted overwhelmingly in favour of reaffirming the country's independence and ratifying the national constitution that grants our government the authority to rule. The five peaceful and credible democratic elections that we have held since then further testify to this legitimacy, and to the hard- won achievements in governance and institution-building that our country has established. By contrast, the Government in Mogadishu is not the outcome of a popular democratic vote, and this is why the communiqué of the recent conference talks about it as being "more legitimate" rather than "legitimate." During the Somalia transition process, the Somaliland government provided support as an interested neighbour, not as an internal actor. We were not a signatory to either the Somalia End of Transition Roadmap nor the subsequent Garowe I and II principles documents that ratified Somalia's provisional constitution and established the selection processes for its current government. While we pledge to continue supporting Somalia and other foreign governments in collective efforts to tackle all threats to regional peace and security, we will do so only on the basis that Somaliland is not part of the federal governance structure currently being negotiated between Somalia's regions. It is a matter for regret that some in the UN Secretariat are apparently not fully or correctly informed about the situation in Somaliland. I would be more than pleased to welcome Deputy Secretary- General Eliasson and other senior UN representatives to visit Hargeisa and witness Somaliland's progress at firsthand. This would also provide a welcome opportunity to discuss how the United Nations and the Somaliland government can continue to work together to support efforts to stabilize and develop the region. Please accept, Your Excellency, the assurances of my highest consideration.